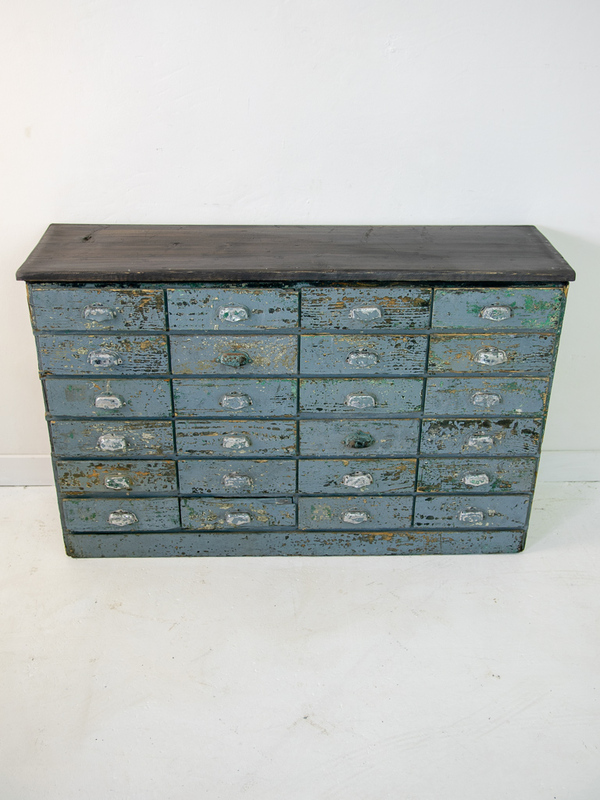 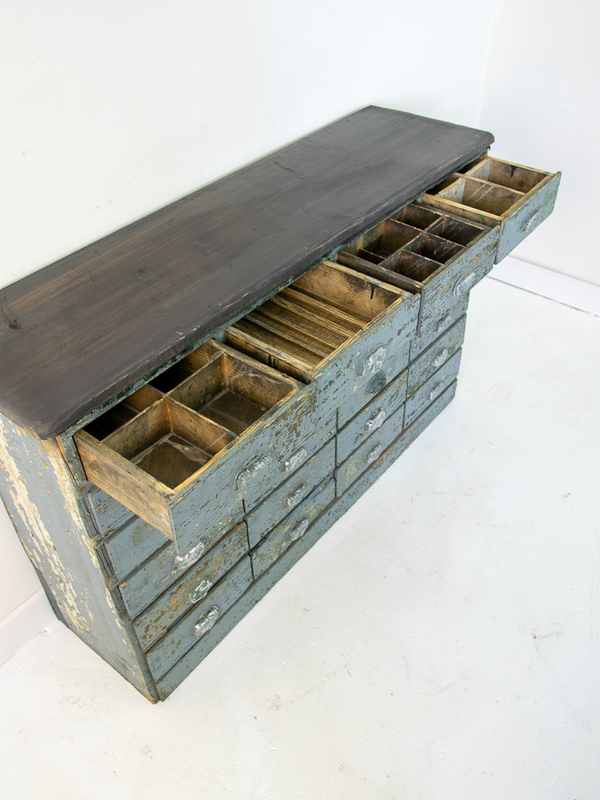 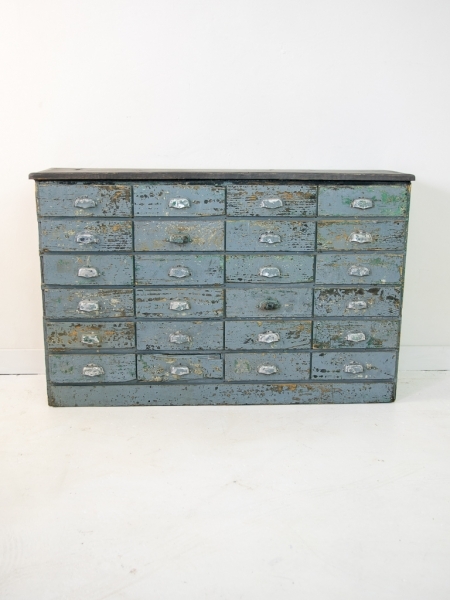 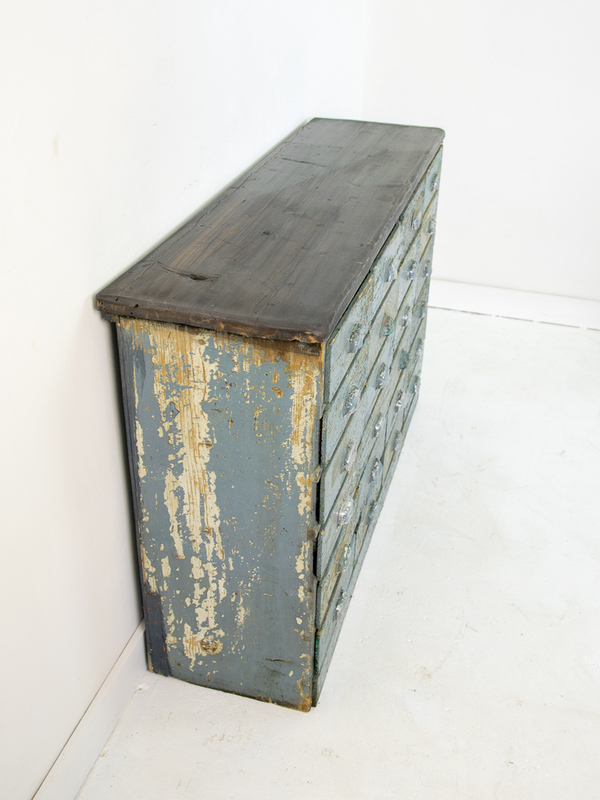 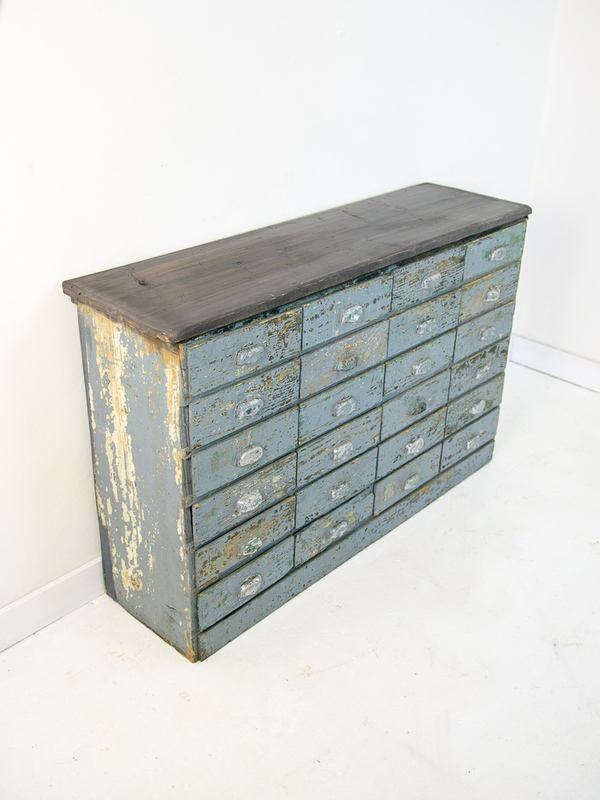 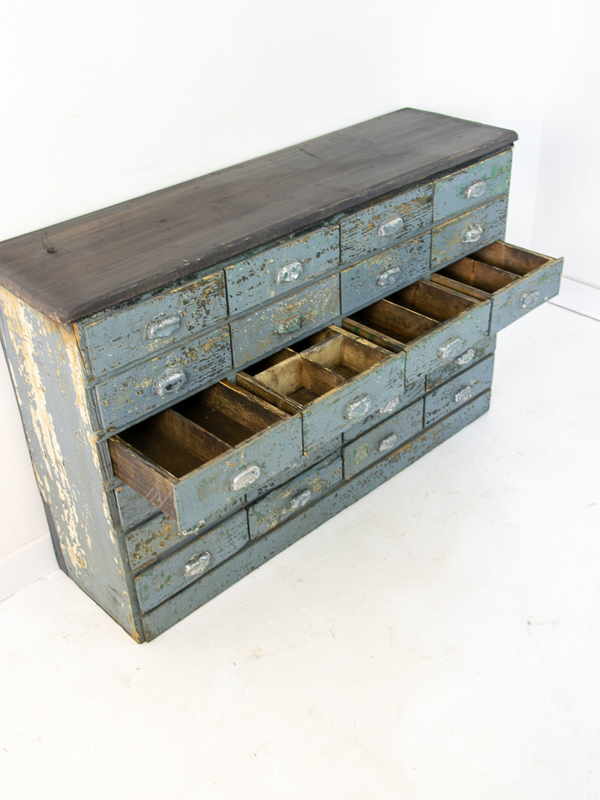 Manufactured around 1930, this is a 24 drawer industrial cabinet was sourced from Eastern France. 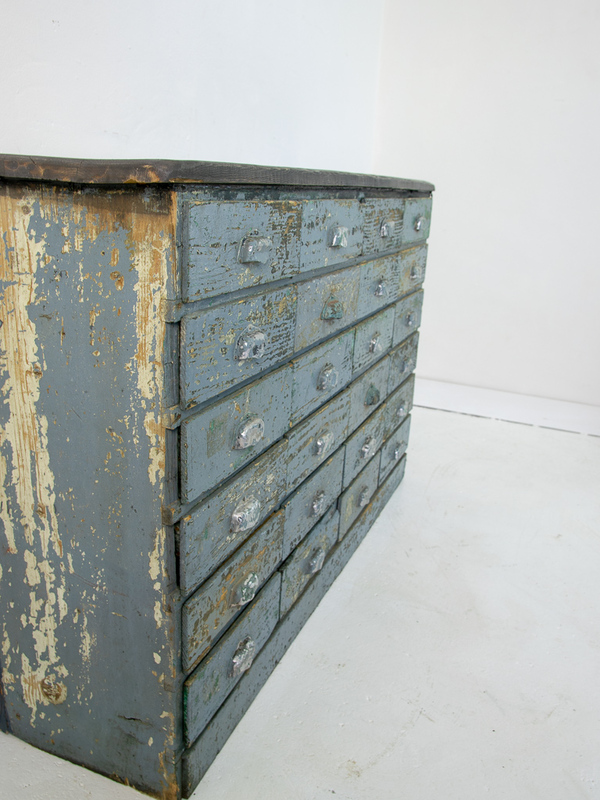 Wonderful patina to the original paint at the front. 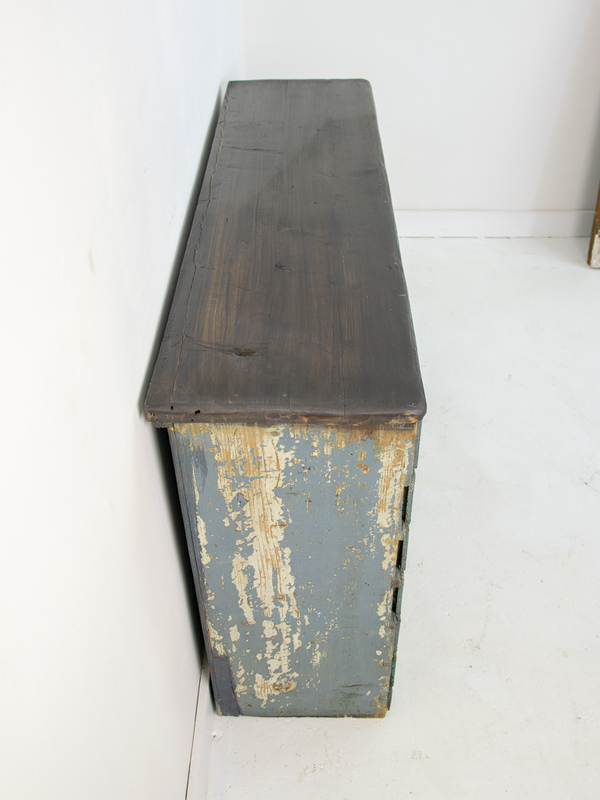 The top and back have been repainted. 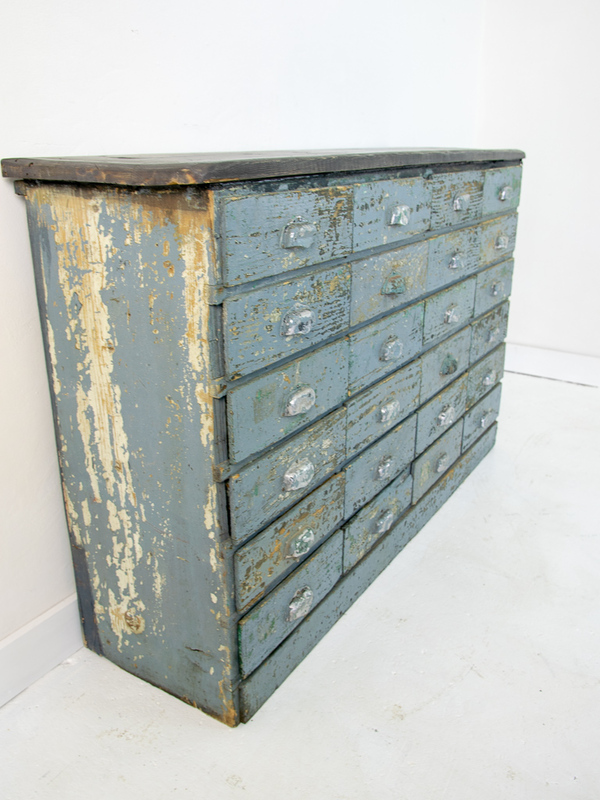 The odd chip to some of the drawers.